Full disclosure, I love Borg stories. Mainly because of Seven, but Seven’s story grew out of Locutus and Hugh. 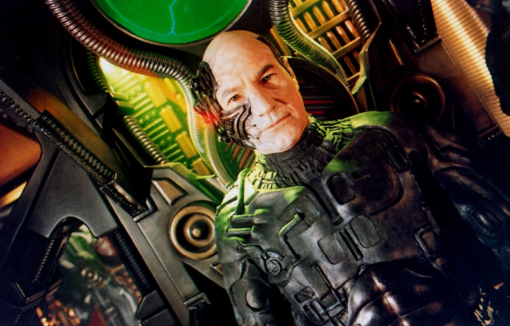 Borg stories are about trauma, identity, redemption, resistance. And choice. When first introduced the Borg were just monsters. Mostly machine, soulless, indistinguishable, an army of mindless automatons – terrible and scary but while difficult to defeat in practice, they were easy to defeat in principle. Because they were clearly and inarguably evil. But Locutus changed that. Locutus wasn’t just a borg, just a monster, he was a victim. A fellow officer. A friend. The Captain of the Enterprise, the flagship of the Fleet, a shining symbol of the Federation. He was Jean-Luc. And the story became about choices. The Borg’s collective choice to conscript an individual to speak for them. 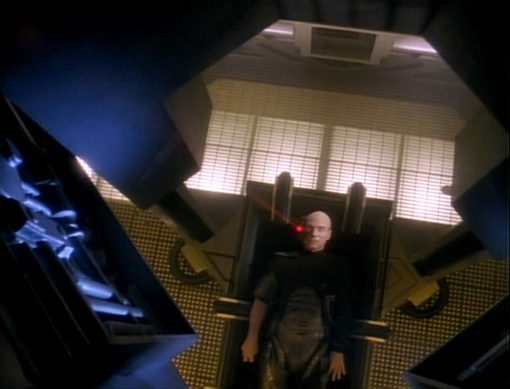 Riker’s choice to fire on the Borg cube and sacrifice his captain. The fleet’s choice to attack. The crew’s choice to go after Picard. Riker’s choice to remain on the Enterprise. Picard’s choice to remain in Starfleet. Hugh’s choices, Sisko’s choices, the Borg Queen’s choices, Data’s choices, Janeway’s choices, Seven’s choices, the Hansens’ choices, and the choices of all the other deborged individuals Voyager meets along the way. 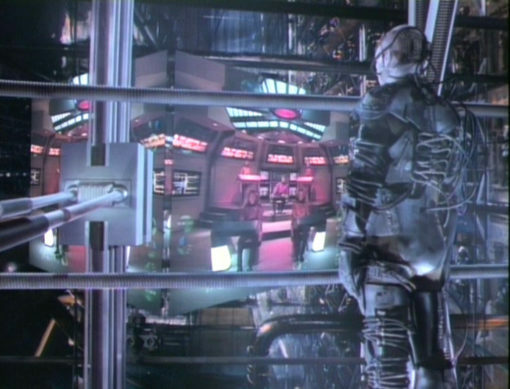 The Borg represent a lack of choice – a denial of choice. But in exchange they provide confidence, strength, boldness, purpose, power. Having a choice requires making a decision. It’s scary and can be very lonely. I’ve related encountering the Borg to depression and to growing up as a teenage girl in American society – and sometimes there is an allure to assimilation, to giving in, letting go. Resistance is hard and too often seems or feels futile. It’s exhausting. Authoritarian societies depend on it. They’ll just keep repeating “resistance is futile” or “there are five lights” until we can’t tell the difference between the truth and the alternative facts. But Locutus, Hugh, Seven tell us resistance is not futile. We have choices. Hard choices, scary choices, choices that require sacrifice, choices that could end up wrong. And with luck some fun, joyful, hopeful choices to balance out the rest. Locutus and the rest also tell us the greatest threat to a Collective is individuality. Engage the Borg. Be like Riker and punch them. Be like Picard and drown them in facts. Be like Janeway and wrench people away from those who have brainwashed them. Be you and resist. As regards fashion, this look was forced upon Jean-Luc, to match the Collective, and therefore says nothing about him as an individual.